Featured Architect: Frank Lloyd Wright Jr.
Frank Lloyd Wright, Jr., commonly known as Lloyd Wright, was an American landscape architect and architect, active primarily in Los Angeles and Southern California. His name is frequently confused with that of his father, Frank Lloyd Wright. His best-known project is the Wayfarers Chapel, also known as “The Glass Church”, an indoor/outdoor structure made almost entirely of glass and built in 1951 for the Swedenborgian church, overlooking the Pacific Ocean on the Palos Verdes Peninsula. The site planning and planting design express his talent and experience as a landscape architect. He had an embracing grove of Redwoods planted to achieve this. The building is listed in the National Register of Historic Places. Among Lloyd Wright’s last projects was the 1963 John P. Bowler house, known as the “Bird of Paradise” House, in Rancho Palos Verdes using blue fiberglass for projecting roof fins, and the master plan and building designs for a 1970 shopping center in Huntington Beach, at Warner and Springdale streets south of Long Beach. 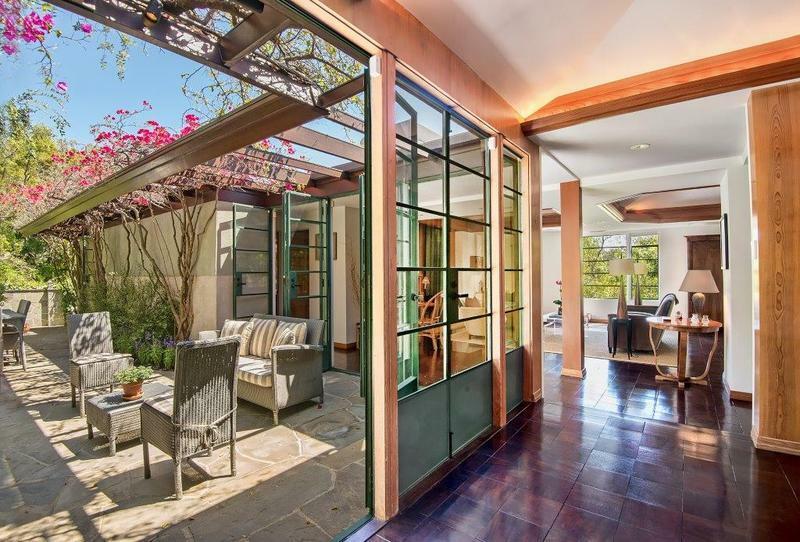 One of Juliette Hohnen’s current listings, at 12036 Benmore Terrace in Brentwood, was designed by Lloyd Wright, who modeled many of his most notable works after his father’s style and aesthetic design. 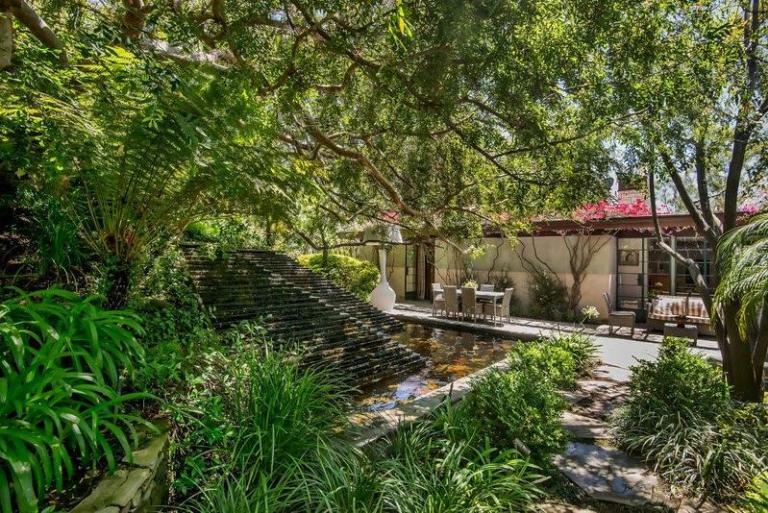 Juliette Hohnen, regarded for her acumen in converging her backgrounds in both entertainment and real estate, has listed Warwick Evans’ House in Brentwood for sale. 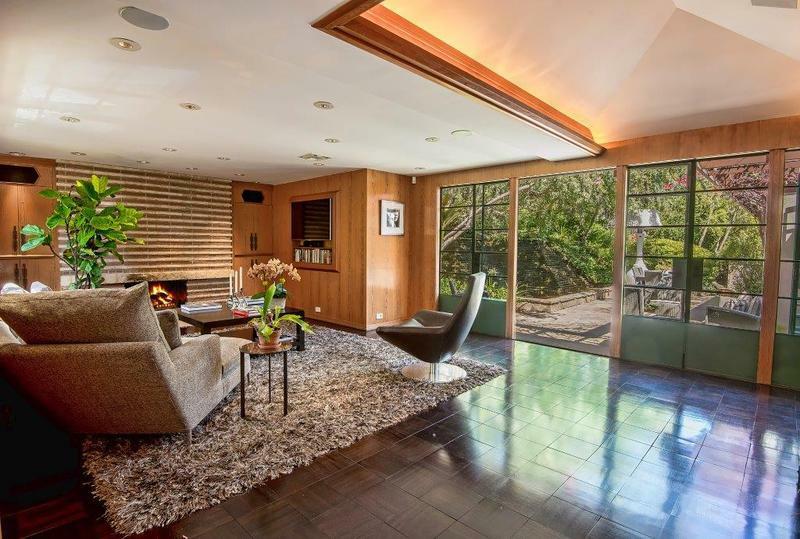 Located in Brentwood Heights, the home was designed by architect Lloyd Wright in 1936 for Charles Warwick Evans, a noted cellist and co-founder of the London String Quartet. 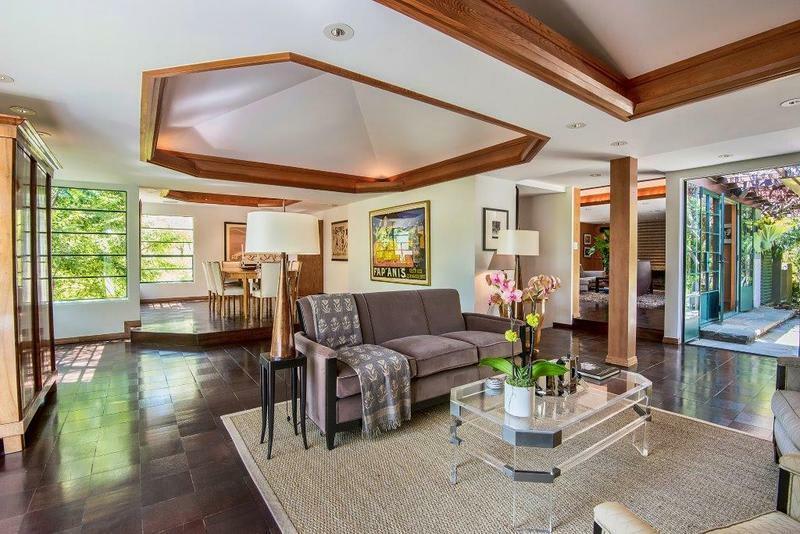 This magnificent Lloyd Wright architectural masterpiece has been lovingly restored and beautifully maintained, and is a true once-in-a-lifetime opportunity to own a rare true gem west of the 405 freeway. Featuring a remarkable open floor plan with significant indoor and outdoor living space, this gorgeous home adheres to Frank Lloyd Wright Junior’s vision from 1936 and includes true Frank Lloyd Wright signatures: stone fireplaces, Texas limestone, original cypress doors and paneling, bluestone terracing and pathways, newly restored Brazilian walnut wood-tile flooring, and casement windows and doors. The recently-remodeled chef’s kitchen is flooded with light and features a large center island, six-burner Wolf oven, double SubZero refrigerator/freezer, skylight and large service pantry. 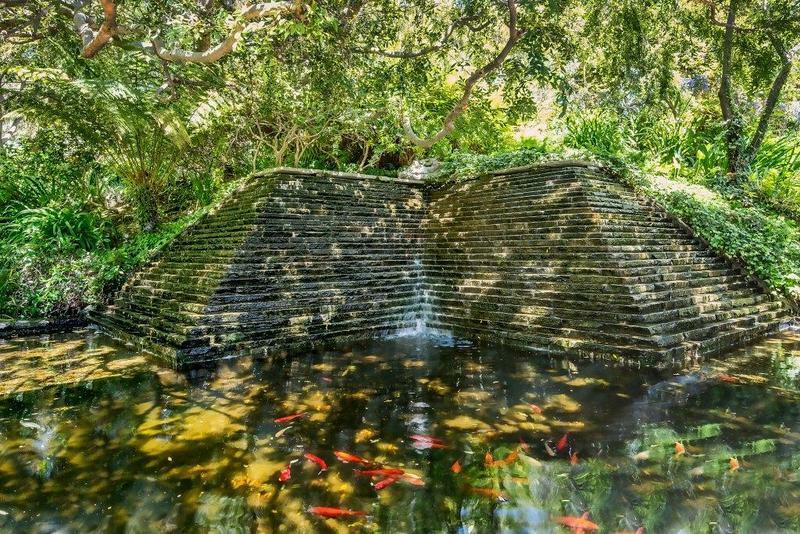 The outdoor space is graced by a Mayan-inspired fountain and Koi pond, glorious landscaping, and tranquil streams, which flow graciously over nearly a half-acre of land. 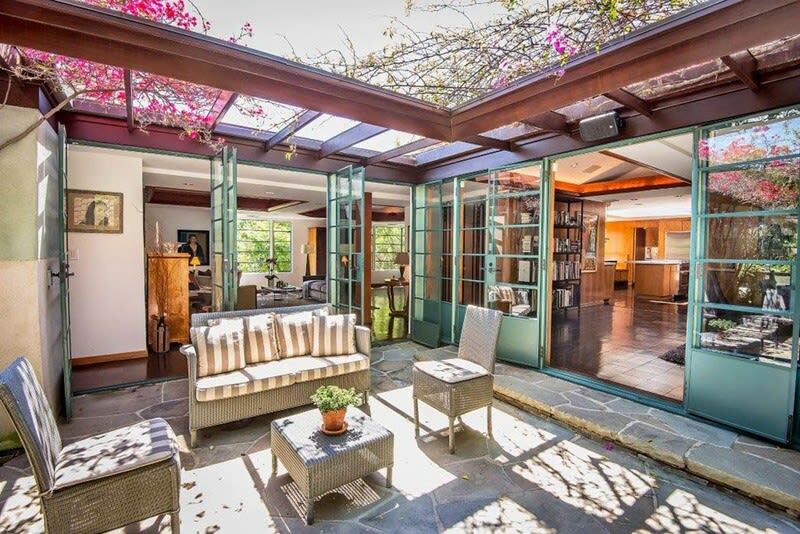 The home has been covered extensively in leading architectural and design trade publications.